Enforcement, where he had been acting director. The abrupt reversal was encouraged by top Trump policy adviser Stephen Miller and seen by some as part of a larger effort to bring on aides who share Miller’s hard-line immigration views. “We may go a different way. We may have to go a very tough way,” Trump said in an interview with “Fox &amp; Friends Weekend” that aired Saturday. 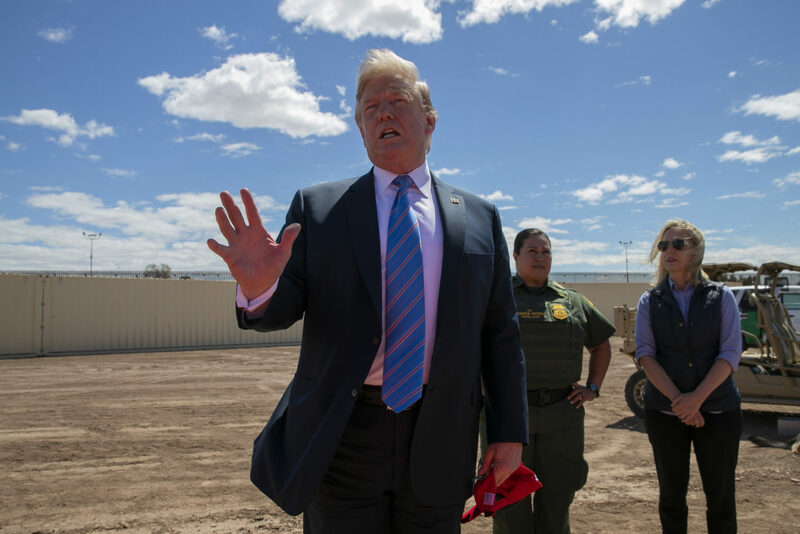 “There is indeed an emergency on our southern border,” Trump said Friday during a visit to the southern border in Calexico, California, where his frustration was evident. “It’s a colossal surge and it’s overwhelming our immigration system, and we can’t let that happen.